It is normal for children to have sibling rivalries and disagreements that would usually lead to telling on each other. But how often does your child tell on their siblings or peers? Do you notice your child’s behavior when telling on their siblings? Is it often negative, do you observe some falsehood and contradictions in their stories? Is there a point that you find lies or something added to the story just to get someone in trouble? If this is the case your child might be having the case of the “tattletale”. Let’s learn the reasons behind a tattletale behavior in children and discuss ways on how to handle and prevent this phase from becoming a habit and an unwanted behavior. A tattletale child is someone who often tells on their siblings, classmates or peers with the intentions of gaining attention or landing someone in trouble. Tattletales often results to their parents, teacher or a figure of authority right away about someone or something that doesn’t seem right in their perspective. An example is when a playmate doesn’t follow a rule on a game. The tattletale child tends to tell the teacher right away without handling the situation on their own. There are also instances that the child over monitors their peers and tattletales on every single situation that doesn’t even concern them. This becomes very unhealthy for the child socially and mentally. The child is unable to confront a situation on their own and doesn’t try to solve the problem. How can you help your child overcome this phase? Below are some tips that can help you work through the tattletale phase. Sibling rivalry is one of the reasons why your child is experiencing the tattletale phase. In most cases it occurs when your child believes that their younger or older sibling is being noticed more for their achievements or they believe that their sibling is the favorite. The child that is experiencing these thoughts and feelings would use revenge from a previous disagreement or they have created bitter feelings towards their sibling. To your child the purpose of telling or finding small reasons to tell is to get their sibling in trouble or to prove that they are just as “perfect” or favorable. What to do. Observe your children and make sure that sibling rivalries don’t get heated up to the point that they feel the need to undermine one another. Show them equal love and appreciation. Give praises in a way that you recognize them in their own unique abilities or strengths. Also make sure that you teach them to be happy about someone else’s success or achievements especially when it is their sibling’s. Explain to them that everyone has their turn in the spot light and that it is good to congratulate and notice others for their accomplishments. Also encourage your children to bond and share their feelings to one another, may it be good or bad to avoid misunderstandings, jealousy and unwanted behavior towards each other. These practices will improve the tattletale’s behavior to a more caring and understanding sibling. It can also improve your child’s ability to resolve conflict with their siblings instead of bottling up bitter feelings towards one another or getting you involved to resolve their conflict for them. Telling the difference between good and bad is one of the basic skills that a child develops in their early age. This skill is a good characteristic that a child possess because they are learning to be vigilant to their surroundings as well as picking up on good and bad behavior. While a child is able to differentiate between good and bad, they must also learn and understand the difference between what is important and what is not worth bringing the attention to the immediate authority. A child who tends to tattletale at school, will over monitor their classmates, immediately notices when a classmate breaks a rule or gets worked up because an activity or a situation is not going their way. Even though following the rules and being aware of your surroundings is good trait to have but it becomes a concern when a child is constantly finding a reason to land someone in trouble. This could result to being a target for bullies, being called names and unsociably welcome by others due to the notions of untrustworthiness. What to do. If your child is an obvious tattletale at home, the same scenario may be happening at school. Speaking to your child’s teacher or guidance counsellor can give you an idea on whether your child is experiencing difficulty with others or if they are just focusing on others faults. You can also work alongside the teacher or counsellor and help develop the skill of conflict resolution and how to recognize when something or someone is in danger. It’s important that your child knows that if the situation is dangerous to them or others that they should tell someone immediately! Especially if someone is going to get hurt or is at risk of hurting themselves. Otherwise your child should learn how to work on conflict resolution and to be assertive when noticing a peer is breaking a rule or being disrespectful. As a parent it is also important to educate your child on the consequences of being a tattletale and how it could result to social isolation or even being a target of bullying. If you notice that your child tattletales on someone often, there might be some concerns involving your child and that student. The tattletale may be an overlying cover to problems and that your child may be experiencing bullying or other concerns that may need immediate attention. If this occurs please make sure to be in contact with your child’s teacher or school administrator or even have a conversation on why this student is always a topic. A child who constantly tattletales about everything is a child who takes rules and regulations very seriously. It is also a good trait to have because like said your child is strong at noticing what is right and what is wrong and values following the rules. When this child witnesses the slightest misdemeanor they will tell right away, even if it doesn’t involve them and it’s because they rely on someone to justify a situation or rescue them if they can no longer handle the problem. If your child focuses on others and what they’re doing, it could consume a lot of your time and even lessen your child’s productivity because they keep on meddling in others problems. This could result to your child having fewer friends outside of school and face challenges with other children within the neighborhood and even shift their focus on what’s really important, their studies. o Create rules with your child: Make a rule around telling. Since your child takes rules very seriously, this will most likely work. o Problem Solving: Educate your child on what is considered to be a small problem or a big problem. Allow your child to analyze a situation and determine whether they can handle it on their own or if it needs immediate attention because of danger or if it’s harming themselves or others. o Reframe your child’s thoughts and feelings around others: Let your child know that it is okay to be happy for others and that others should be noticed for their strengths. At the same time give your child the recognition they deserve, let them know that you also notice their strengths and accomplishments. 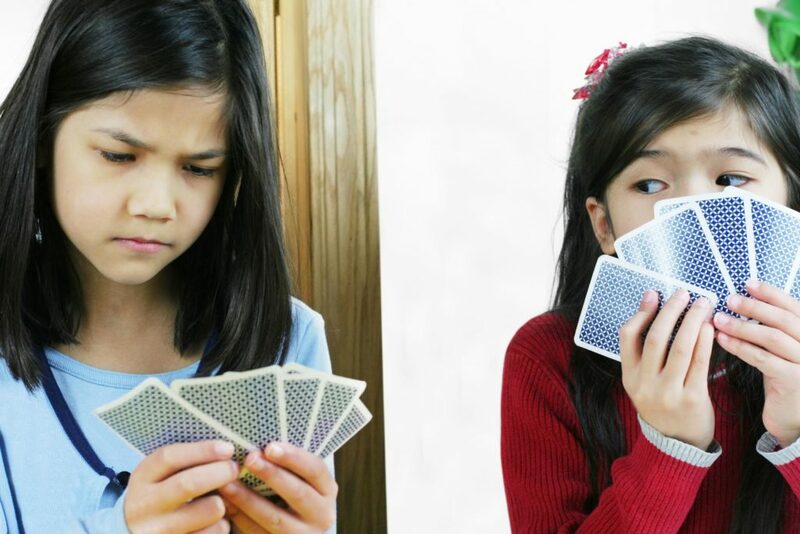 This will ease tension between siblings that are envious or classmates that are competitive. o Shift their focus: You can encourage your child to be more involved in their studies and assist them with areas that are in need of improvement. Applaud their strengths and encourage extra-curricular activities that will help enhance their skills. o Assertiveness: Allow your children to work through their conflicts. Teach and encourage your child to stand up for themselves and build the ability to approach a conflict within the classroom or at home. Assertiveness is a beneficial skill to have. o Social Groups: Encourage your child to join clubs and other social gatherings or sign them up for camp. This will allow your child to work on their social skills and meet new friends. o Positive Lifestyle: Assist your child with building a positive lifestyle. Allow them to express their feelings and themselves. Building a safe space for your child to express their emotions and express their thoughts would help your child channel emotions to constructive activities or positive coping outlets. It will also help your child recognize their emotions, label their emotions and express their emotions. It’s important that we allow our children to label and express themselves because then we could help them understand and work through their concerns. Every child is special and every struggle you have with your child has it reasons. Observe your child and the attention you give her. Be mindful of the tattletales, if they are exaggerated, falsehood or just bluffs. Your child might just be on to you to get your attention. She might not feel acknowledge of appreciated enough that she thinks tattletales will get her more attention and praises. Maybe all you need is to spend more time with your child and give her praises for the good deeds that she does at home and school. Initiate conversations to your child, talk to her about her day and share your day to her too, conversations will build good communications and better relationships. This will lessen the tattletale behavior since your child doesn’t have to bring up someone irrelevant to the conversation. If you ignore tattletale behavior in your child it will eventually develop into a habit and a bad behavior. The intentions of your child to tattle tale maybe become deeper, it might be because of revenge, to lie or just to be mean to others. In time, if this behavior doesn’t get corrected it will eventually corrupt the child’s mind and tends not to reflect on her actions. If things get out of hand, you can schedule a family therapy session to be able to dig deeper of the root cause of this kind of behavior and how your child and your family be able to deal with it together.